Sports massage is the application of massage techniques to athletes, used to help them prepare for and recover from training and competing. It can be used to address injury problems, improve functional flexibility and range of motion and reduce recovery times between training. However it is not just for athletes. 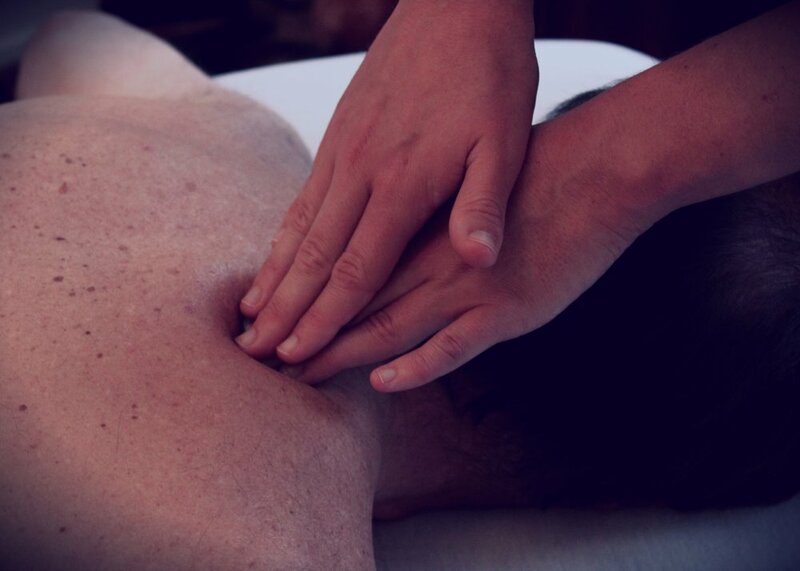 The techniques used in sports massage treat the soft tissues of the body (muscles, tendons, ligaments and fascia), which everyone has, and so there is a move towards referring to it as soft tissue therapy instead. Soft tissue therapy is the assessment, treatment and management of soft tissue injury, pain and dysfunction of the musculoskeletal system. It looks to address the whole body system, identifying and treating causes of pain and dysfunction and not just treating the symptoms. It can redress imbalances caused by everyday activities, such as sitting at a computer all day, allowing a greater freedom of movement and a consequent reduction in chronic pain. It can also be used to ease some of the symptoms of medical conditions such as Multiple Sclerosis, Diabetes and Cystic Fibrosis. Sports massage and soft tissue therapy does not have to be painful. A range of techniques can be used, and at a level of pressure that is appropriate to the client, in order to achieve the best results. Many chronic pain issues stem from postural imbalances which mean that muscles aren't being used in an effective manner, and quite often where the pain is felt isn't actually the cause of the problem. I can assess your posture to identify contributing factors and treat accordingly to not just ease your pain but to remedy the problem more permanently. Joint assessments are used to identify tight muscles, weakened muscles or damage to soft tissues and joint structures. This helps to guide and tailor a treatment specific to your needs. Traditional massage techniques such as effleurage and petrissage are used to warm the tissues, induce relaxation and identify areas of tension. Massage improves circulation, bringing fresh nutrients to the tissues and removing waste products, and increases mobility between tissue interfaces, reducing adhesions and restrictions. Scar tissue tends to reduce the efficiency of muscular contractions. Frictions are more specific applications of pressure used to disrupt the scar tissue underneath, stimulating the healing response and helping to realign the new scar tissue in an optimal fashion. Fascia is a connective tissue that wraps around every muscle and organ of the body. It is like an interconnected web so problems in one area of the fascia can cause pain and dysfunction elsewhere. Connective tissue massage techniques can be used to free up restrictions in the fascia to allow a greater freedom of movement. Soft tissue release is the manipulation of soft tissue through a specific application of pressure, along with the movement of the associated joint. It assists the stretching of muscle fibres, tendons, ligaments and fascia by specifically and repeatedly stretching small areas of soft tissue. It can be a quick and effective way of releasing local areas of soft tissue tension, separating and realigning adhesions and breaking down scar tissue. Muscle energy techniques involve a resisted gentle contraction of chronically tight muscles in order to influence the nervous system to relax and lengthen them. METs can also be used to reduce and relieve muscle spasms, restore the range of motion in limbs and joints and as the process involves stimulating neural control of the muscle, they can be used to bring awareness to and strengthen weakened muscles, improving function. Trigger points are excessively tender painful spots in muscles that can cause referred pain elsewhere when pressure is applied to them. They can be activated by factors such as persistent muscular contraction (when muscles become chronically shortened), strain or overuse, or trauma and are a common feature of chronic pain. Trigger points are a way into the nervous system and manipulating them with neuromuscular techniques reduces the excessive nerve stimulation, resets the nervous system and causes a spontaneous relaxation of the muscle. An example of this is the treatment of trigger points in the upper trapezius muscle in the neck/shoulders can help to ease tension headaches. Instrument assisted soft tissue mobilisation describes a technique in which specifically designed tools (usually metal) are used to effect changes in the body to decrease pain, improve mobility, optimise recovery and improve function. The technique originated from a traditional oriental treatment called Gua-Sha but has changed over the years to take into account research from modern pain science. The research nowadays suggests that the use of tools in treatment provide sensory inputs to the nervous system that improve motor outputs. The tools provide a stimulus to pain and pressure receptors, free nerve endings and other mechanoreceptors in order to allow the patient to move more freely. For example, in a patient that is hyper sensitive to touch, light stimulation of the receptors found in the skin and fascia can reduce pain, the reduced pain will lead to improved movement patterns, which in turn improves function. The tools can be used with different stroke types and pressures to effect different responses. Using a faster flick technique can prime the muscles for action, whilst deep slow strokes will relax the muscles and can be used to achieve a greater depth of mechanical force transmission than with the hands alone. Shear techniques can be used to improve the glide between different tissue layers and fluid capture can be used to reduce swelling and oedema. 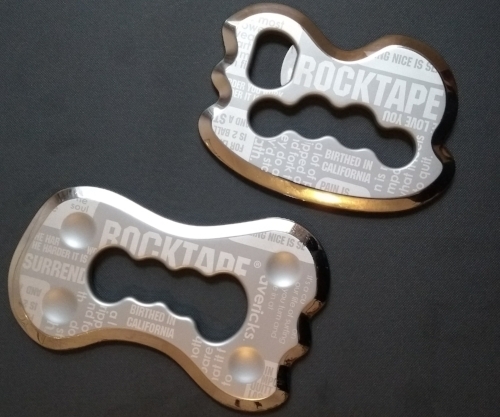 The tools look quite brutal but as in all techniques, good communication between the client and therapist will ensure that the use of them is not aggressive and that they don't result in unnecessary bruising. The tools would only be used with consent and in specific treatment situations. Circulatory/lymphatic systems - The tape can help to promote the natural flow of fluid between tissue layers and optimise interstitial lymphatic fluid flow, reducing oedema (swelling) and therefore reducing pain. For more information and for research on the use of Kinesio tape, visit the Kinesio taping website. As a massage therapist, I can identify issues such as tight muscles that may be contributing to your pain or injury problems. However I can only do so much. If you want a lasting solution, you may need to do some work to strengthen weakened muscles. For example, in a hyper-kyphotic posture (excessively curved upper back), the chest muscles have become short and tight and the upper back muscles have weakened. I can free up the short tight muscles but if you want lasting change, it is up to you to strengthen the weakened back muscles. I can provide advice on stretching and strengthening exercises to help achieve your goals.